Elevated Roofing, the premier Frisco, Texas residential and commercial roofing and gutter company, recently added two new trucks to their already sizeable fleet. The addition of two new trucks marks a business milestone for Elevated Roofing, which has seen continuous success since its North Texas debut in 1995. 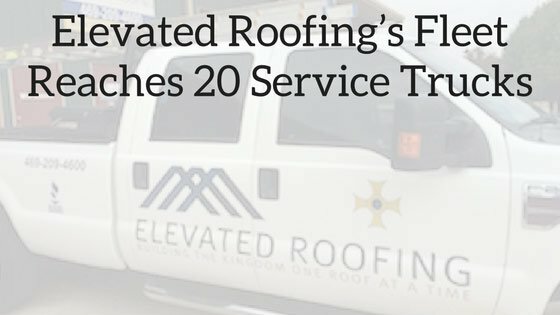 “It has been a personal and company goal to reach a fleet size of 20 trucks,” Mike Witte, owner at Elevated Roofing, said. This year has been one of extreme growth for Elevated Roofing, who also recently brought gutter services in-house, to ensure their clients the best quality and workmanship every time. However, it is no surprise that Elevated Roofing has seen such success, considering the number of customers they have managed to impress. 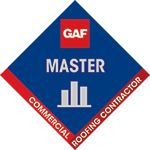 Elevated Roofing services families and businesses located in Frisco, Texas and the surrounding areas including: McKinney, Lewisville, Plano, Grapevine, Carrollton, Richardson, Garland, Dallas and more. If you need roofing or gutter work in these areas, request a free quote from Elevated Roofing at elevatedroofing.com/contact/ or by calling 469-305-0010.